Many people tell us how lucky we are to do what we do! 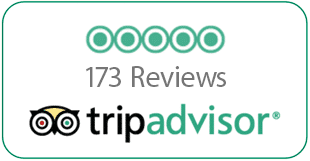 And we do feel very lucky: we are a team of friends and family members who enjoy working together and love welcoming people to our little corner of Tuscany. It’s a privilege to share the amazing places we know, and of course to sit down with new friends and enjoy the great food we prepare together and the wines from the vineyards that we visit. Many years ago, Shilpa fell in love with Tuscany‘s great ingredients and tasty yet simple dishes. She and her team will open the doors to the beautiful organic farms in the area for you and to many of the area’s culinary secrets. As a teenager, she learned to cook at a family-run gourmet Italian restaurant in England. After obtaining a degree in French and Italian from the University of Cambridge, and living in both Florence and Rome, she moved to Barcelona, Spain, where she worked as a chef at Sesamo, an Italian-owned vegetarian organic restaurant; she then set up her own successful restaurant, Mosquito, which she later sold. Shilpa and her family now live between Spain and Italy. They are members of the Slow Food association. Manuela is a Tuscan mother of two college-aged girls, and lives in the heart of the Chianti. She will teach you dozens of her unbeatable dishes, including melt-in-the-mouth sformati (vegetable flan-like souffles), aubergine croquettes (to die for! ), and her amazing Torta della Nonna, a warm custard and pine-nut pie. There is not much Manuela does not know about local cuisine, and you’ll have the chance to ask her plenty of questions! Cristina is originally from Rome and has a background in journalism. Now transplanted in the Tuscan countryside, she has become a certified sommelier and olive oil expert, and will open up the world of Tuscan wines and extra virgin olive oils for you, from the basics to the complexities. People always comment on her warm manner and uncomplicated, open approach to a subject that can sometimes be mystifying and stuffy. She will give you plenty of pointers to help you to use all your senses when you taste wines and extra virgin olive oils. Elisabetta is a native Florentine with a British mother. Her father’s work in the UN took her all over the globe as a child, but she came back to Florence when she was 18. She studied at the Università di Firenze and became well versed in literature and art history. She has now lived in Florence for over 25 years and loves showing visitors the hidden corners of the birthplace of the Renaissance. Riccardo was born in Florence and grew up there. He studied graphic design and history of art at the Istituto d’Arte and at the University of Florence. He works in graphic design, a job which over the years has taken him to live and work in several cities: New York, Rome, Barcelona and Florence. 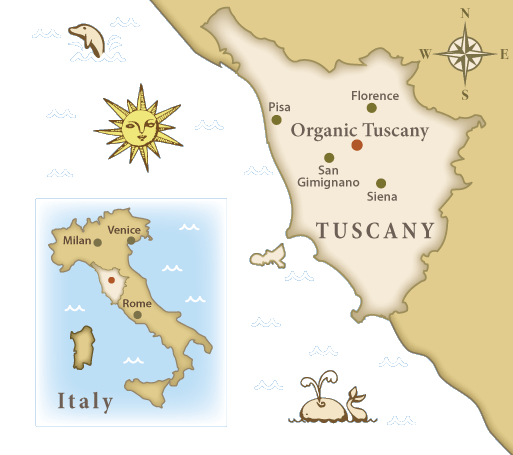 He designs and maintains the Organic Tuscany website and recipe blog and helps run some of the organic cookery courses. He has always been an enthusiastic cook and is passionate about quality ingredients and Tuscan food and wines. In the past, Serena worked in Rome as a freelance journalist, TV writer and as a comic and cartoon writer and curator. But her career has taken a different turn in Tuscany! In 2008-2009 she attended a professional cooking school in order to improve her knowledge of nutrition and food traditions. Since then, she has been working in Italy and abroad cooking privately and teaching cooking classes focused on Italian regional traditions and the history and usage of local ingredients. She is fascinated in general about how local culinary traditions define people’s identities and society and is currently one of the teachers at Slow Food’s University of Gastronomic Sciences. Clara is originally from Milan but embraced Tuscany as her adopted home over twenty years ago. She lives in the hills near the villa with her partner Terry, an accomplished British ceramicist. She knows the area like the back of her hand, and loves guiding guests around the local countryside and farms, explaining some history, pointing out the interesting flora and fauna and some eccentric neighbours too! Chiara is a very proud native of her beloved Siena and has a degree in foreign languages and literature. She adores talking about her city, and always infects those listening to her with her enthusiasm for it. She loves to make visitors to her city laugh, to make them curious about the things that they see with her and to hear that irrepressible "ooooh" when they see Piazza del Campo for the first time. She says "I love my city and I love people. What better job than to be a guide?" If you’d like more information about our organic cookery courses or you’d like to book one, you can contact us by email, by telephone or send us a message using the form below.